The yellow sapphire stone or ‘Pukhraj’, as it is popularly known in India, is a gemstone that attracts a lot of people. This is because, as per Vedic astrology it is widely recognized for its benefits. Its benefits include marital bliss, good health, success at workplace, wealth, and enhanced will power. Even aesthetically it is desirable because of its beautiful yellow colour. The Sri-Lankan yellow sapphire is the most popular and its quality is the best because of its colour consistency and clarity. As compared to other gemstones, it has fewer inclusions. When inclusions are there, they look like fingerprints or feathers. Inclusions lower the cost when you go to buy yellow sapphire stone. Shaping and cutting the yellow sapphire helps it look prettier but has no relevance to astrology. Astrologically you should buy yellow sapphire gemstone with the least inclusions, should be bright yellow in colour and should not be treated at all. Buying a gemstone is always a task that needs a bit of knowledge to avoid the fake ones and buy a genuine certified gemstone that can provide the best results for you. Yellow Sapphire (Pukhraj stone) is a yellow gemstone belonging to the corundum family. Pukhraj stone is a twin of the dazzling red ruby and Blue sapphire. A Sapphire is available in blue, orange and yellow colour. When we say about the Pukhraj stone, it denotes the yellow Sapphire. Just like every other colour of a gemstone, Pukhraj stone is also available in different shades of yellow such as pale to canary yellow, gold, honey and brownish yellow. However, a Pukhraj having beautiful golden yellow colour is most desirable. There may be inclusions in Pukhraj stone. Any visible inclusion is it a black spot or a transparent one is considered inauspicious for the wearer. A clear transparent Pukhraj stone or yellow sapphire, free of any inclusion, is ideal for the wearer and is considered to be of premium quality. While buying a yellow sapphire gemstone, the origin of the gemstone is a matter of concern for many. The main Source of Pukhraj stone is Ceylon mines in Sri Lanka and the yellow Sapphire extracted from those mines are called Sri Lankan or Ceylon Sapphire. Due to the high demand of these species of yellow sapphire, there has been a hike of price making it quite an expensive choice for yellow sapphire or Pukhraj stone. To talk about the most affordable choice of Pukhraj, Bankok yellow sapphire can be put forward. These are extracted from Thai origin and provides a better colour tone in the affordable range. The weight of every gemstone is measured in carats or ratti (only in India). After an analysis of the birth chart, an astrologer suggests a gemstone and also the weight of the gemstone that is needed for being embedded in a ring or pendant. Wearing a Pukhraj stone with a greater weight than stated would not provide the extra beneficial effect. A gemstone is shaped into the desired size and shape for making yellow sapphire ring or pendant. In the case of Pukhraj stone, the oval or cushion shape is most popular and desirable. However, it can be shaped of Pukhraj can be modulated according to the wish of the wearer but any faceted-out shape requiring a waste of gemstone while cutting will bear a bit more price than the regular ones. The quality of the yellow sapphire depends on all the above factors. A premium Pukhraj stone is a transparent golden yellow gemstone, free of inclusion, through which light can pass easily. The other two factors that determine the quality of Pukhraj stone is nature ad lustre of the yellow sapphire. Just like every gemstone, both the natural and synthetic species of Pukhraj is available in the market. Obviously, the natural one is considered as a superior quality gemstone. The lustre is another factor that should be a characteristic of a genuine Pukhraj stone. A Pukhraj stone having no lustre or which is dull is considered to be of inferior quality. The synthetic species of yellow sapphire may undergo certain treatments while processing into the final product. It may undergo heat or cold treatment or certain chemical treatment. However, the untreated ones are the most desirable for any wearer. The yellow sapphire prices depend on the colour, clarity, origin, lustre and nature of the yellow sapphire. A standard gem-quality Pukhraj stone is of transparent golden yellow colour shaped in oval or cushion. A Pukhraj stone having inclusion -black or transparent, knots or cracks is the most undesirable one and hence are low priced. The Sri Lankan Ceylon yellow sapphire is very expensive due to their premium quality and origin while Bangkok yellow sapphire is the best choice to receive a premium quality at affordable price. The price per carat of Pukhraj stone ranges from ₨ 450 per carat to ₨ 5000 per carat. However, the yellow sapphire priced ₨ 2000 per carat is considered as the standard price for a gem-quality Pukhraj stone. In the age of digitalization, it is no wonder that most people are shifting their choice from buying offline to online. 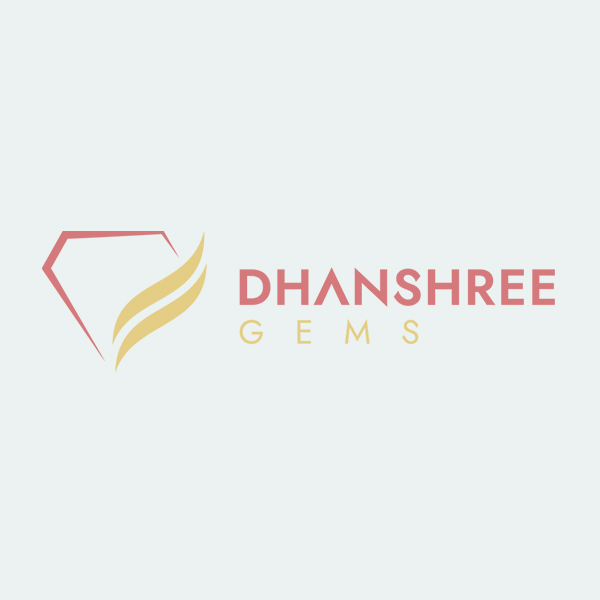 Earlier, one would only buy yellow sapphire from their trusted jeweller only but now with the advancement of technology, the purchase of gemstone online has become a safe and believable affair. One can buy a genuine pukhraj stone online without much hassle. In fact, it has become easier to compare the colour and price of the gemstones online. Every certified gemstone is accompanied with a gradient report given every detail – colour, weight, origin, nature, treatment, price per carat etc in a gist to assure the buyer of its genuineness and make him aware of what he is buying. Pukhraj stone is considered to a lucky stone for every individual. Due to the absence of side effects and availability at an affordable price, the yellow sapphire or Pukhraj stone has attained immense popularity among the believers of astrology. Pukhraj stone is considered to be the most benevolent gemstone in the world of astrology. Advantages of Yellow Sapphire (Pukhraj)? A yellow Sapphire (Pukhraj stone) is generally worn after the analysis of the position of Jupiter/Guru in the birth chart. The most amusing factor of Pukhraj stone is that it has no side effects and thus anyone can wear it. However, wearing a Pukhraj stone is beneficial to those having weak Jupiter. Since a weak Jupiter can be a cause of lack of concentration and focus in life, especially in education, it can be fought back by adorning a Pukhraj stone. A Pukhraj stone or yellow sapphire benefits include better concentration and focuses and consequently a better result in the educational field. A love life stress can appear anytime either be it due to weak Jupiter or fate. Adorning a Pukhraj stone enhances prosperity in love relationship. An auspicious Pukhraj stone can be adorned to ensure a long, happy and prosperous marital life in the long run. Adorning a Pukhraj stone boosts the ambitious feelings in the wearer. Even Pukhraj stone is considered a lucky stone for an ambitious person. In whichever professional life you may be in, be it the teacher, banker, or businessman, adorning the powerful Pukhraj can always be a positive boost in times of professional crisis. Since Jupiter/ Brihaspati (as in Hindu Astrology) guides a lot of aspects in your life, Pukhraj stone can help you improve in all the aspects to achieve the ultimate prosperity in life. If you are seeking progeny, Pukhraj stone or the yellow sapphire is the right choice of gemstone for you to fulfil your wishes. The yellow sapphire or the Pukhraj stone connects to the Visudha Chakra of the body which is responsible to balance our life. Adorning a Pukhraj stone will result in improvement of communication and expression. It is also believed to enhance creativity. Since a weak Jupiter possesses a threat to financial stability, one in the financial crisis should absolutely adorn a Pukhraj stone to retain financial stability in life.